So, for those of us that are not familiar with the process of posting images within posts, I have decided to make this tutorial to help. The first thing you will need is the image that you plan to post, so locate this image and save it somewhere easy to find. I recommend the desktop. 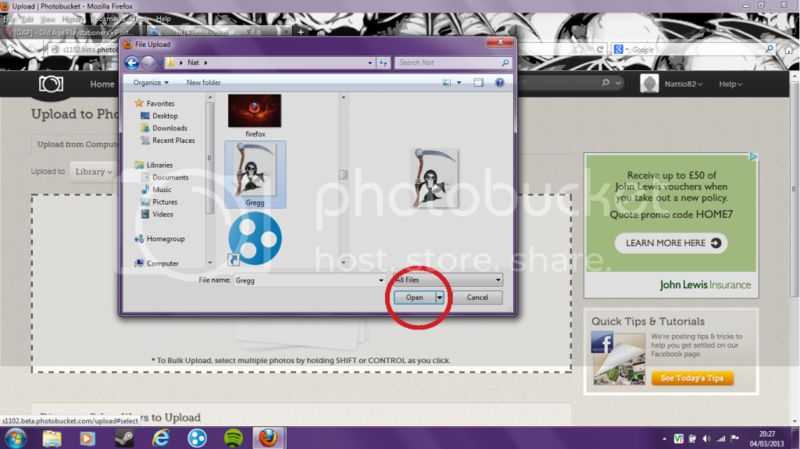 The second thing you would need to do is create an account with an image hosting site like http://www.imageshack.com or http://www.photobucket.com I myself prefer Photobucket and so will use that one for the purposes of this thread. Once you have located the image file, click "open" to upload it to the site. 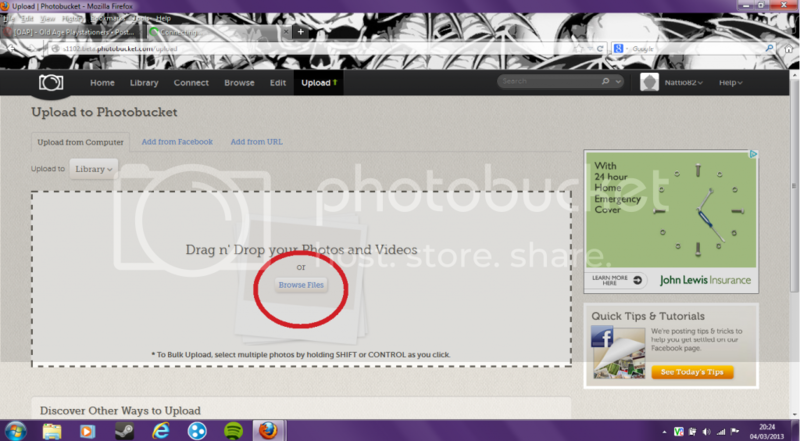 This now means that you have uploaded your first image to your library. You can now add a title to your image if you want to. Once you have done, or not, click the image and this will generate the "IMG code". It is this code that we will copy and paste into the place we want the image to be seen, like the forum threads. Copy the text in this box, and then paste it into the forum thread that we want it to appear in. If you preview your post, you should be able to see it in there. Once you have pasted the IMG code, you can then finish your post as you normally would. Easy as that!! Good luck with your posting, however, if you have any queries, feel free to ask!! Last edited by LastRytes on Sun 16 Jun 2013, 5:04 pm, edited 1 time in total. Should this thread not be a "sticky" somewhere helpful? Could it also include preferred size of image and anything else anyone thinks appropriate or useful. It has been a while since I've had to use a hosting site and I'm a bit of a "can't see the wood for the trees" type of person at times. Should help some folk out. Didn't mean anything bad just a jokey reference to the fact that you seem to be having problems too. I use my pc and my laptop and both give me hassle! I use Img Safe, but I just cannot work out how to delete images I no longer need. 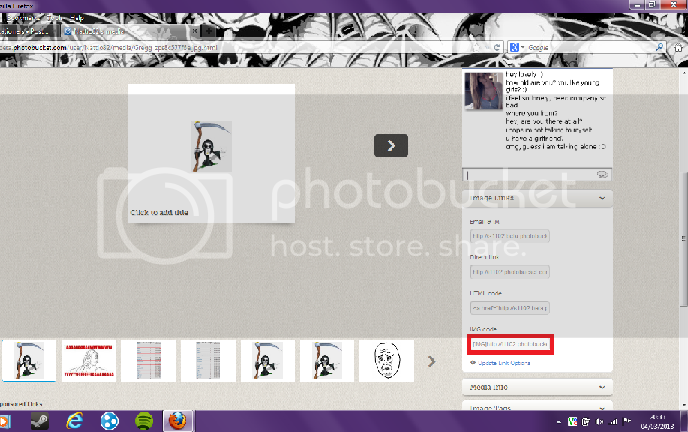 The site itself says "Images are kept... until deleted by the user". With what, psychokinesis? Google hasn't really been my friend. Since I uploaded my first image, I found the width restriction to be very odd. Not even a scrollbar to accomodate things. I guess I'd better avoid posting wide things and restrict myself to tall things instead. This is soooo unbelievably complicated & dated!!! 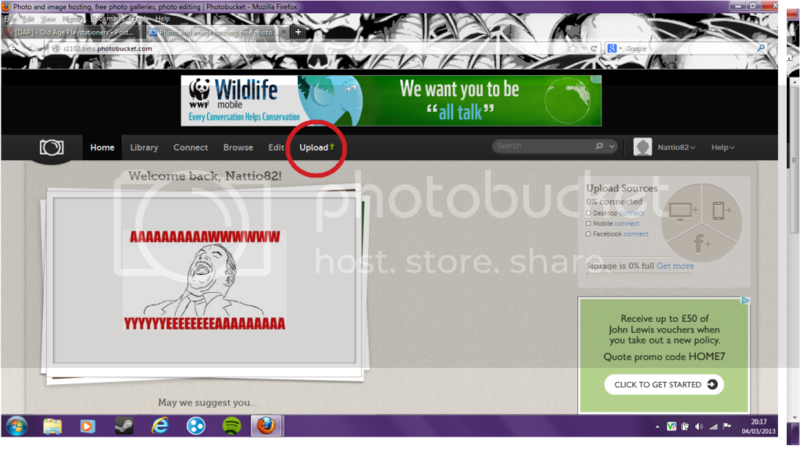 Ive edited my pics to the required pixels and it STILL won't let me post. kaycee2011 wrote: This is soooo unbelievably complicated & dated!!! 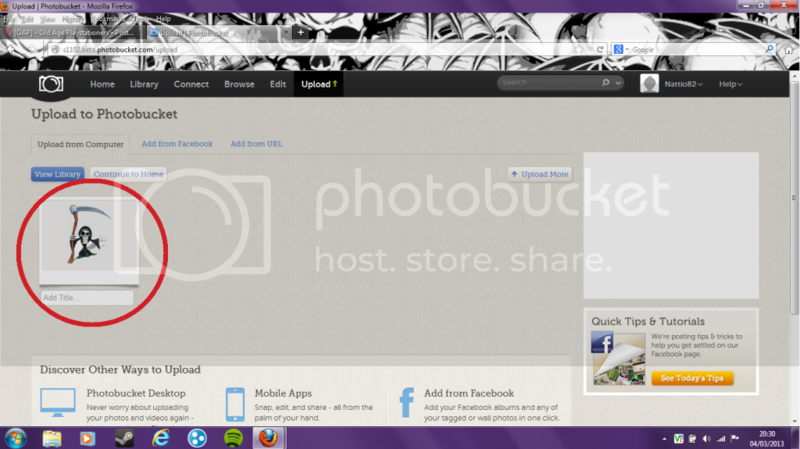 I upload my pics first to Photobucket and they work ok then. Not sure if there's an easier way but it works for me. I gave up too kaycee, sometimes you can link to images on twitter, but i no resort to asking OAPers to imagine what picture I might post.